The beleaguered honey bee is normally championed for its vital powers of pollination but a new study shows that we could soon be thanking them for inspiring more accurate color imaging in digital photography. 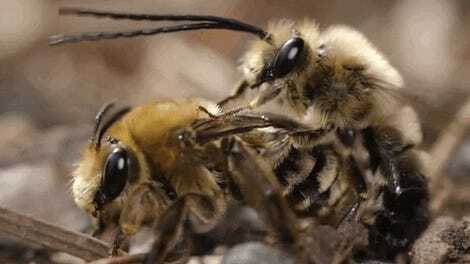 A group of researchers published the results of their investigation into how bees perceive color today in the journal Proceedings of the National Academy of Sciences (PNAS). Their findings call into question previous assumptions about bees’ perception and they claim that this research could be integrated into cameras to produce a better representation of natural light. 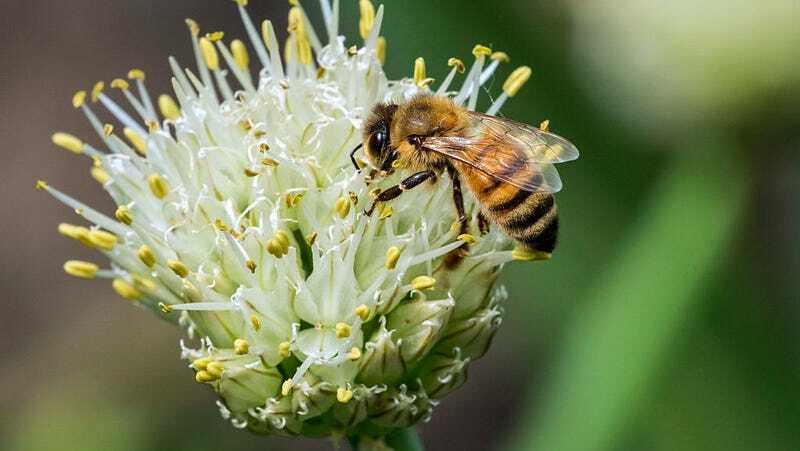 In the past, scientists have questioned how it is that a honey bee can recognize the same colors on a flower that it has already visited, even though the ambient light is constantly changing. The accepted solution was that like humans, bees have the capacity for chromatic adaptation. Even if a red object is illuminated by green light, it is still understood to be red. A theorem called the Von Kries transform gave us a mathematical basis for this idea and it was applied to camera technology to maintain color constancy. If you use a crappy digital camera, colors will look unnatural. But a camera with high-quality sensors and white balance options gives us an image that’s closer to what we perceive with our own eyes. The neural tracings of the ocelli were mapped and it was found that the neural projection was being directed to the color processing areas of the bee’s brain. The scientists reasoned that parallel visual pathways were feeding into the higher-order visual processing centers of the bee’s brain. When mathematical models of their hypothesis were compared to observed behavior, they concluded that they were correct. Adrian Dyer, one of the coordinators of the research, says, “this discovery on color constancy can be implemented into imaging systems to enable accurate color interpretation.” High hopes are had for an integration of these computational models into drones, cameras, and robots in order to create better color constancy in outdoor settings. Now that killer drones could be improved thanks to the honey bee, can we get some more government support for saving these guys? A Third of America&apos;s Bee Colonies Died Last Year and That&apos;s &apos;Good News&apos;?